International Thriller Writers Award finalist Gil Reavill returns with another riveting crime novel featuring detective Layla Remington—perfect for fans of Michael Connelly and Nevada Barr. 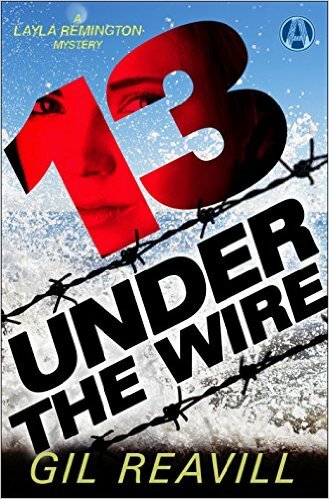 As 13 Under the Wire unfolds, Layla’s dark and traumatic past threatens to explode into the here and now. Los Angeles is in the grip of a monster riot. After thirty-six straight hours on duty, sheriff’s detective Layla Remington makes an error that could cost her badge. Shell-shocked, she retreats to the LASD’s temporary staging area: a once-grand mansion that Layla knows from what seems like a lifetime ago. . . .
It’s ten years earlier. Layla is twenty-two, a probationary cadet at the police academy. A childhood friend has died tragically in Tijuana, and Layla finds herself once again enmeshed in the lavish lives of the über-wealthy Loushane family. The privileged kids she grew up with are taking their places among the upper crust. But as Layla wraps up the late Simon Loushane’s affairs, she stumbles upon a clue to something very sinister that haunts the family. Unable to quell her curiosity, Layla pulls at the threads of greed and tragedy—and unravels a twisted history of evil that stretches from the Gold Coast of Mexico to the Sonora Desert. And now, a decade later, those demons have come back to claim her.